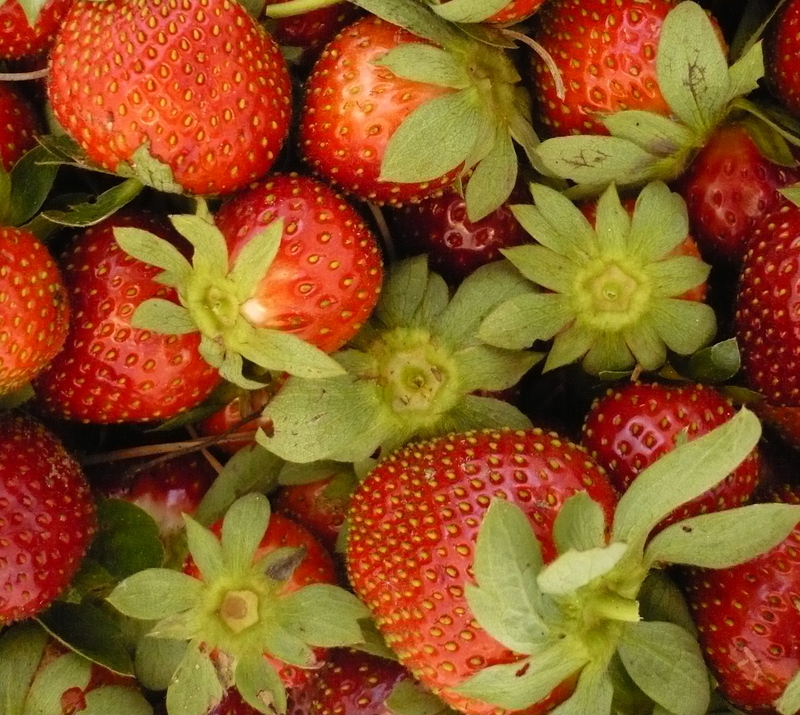 We’re sharing our favorite veggie-centric recipes featuring produce that’s in season right now in north Florida, and available at local farmers markets, produce stands and Community Supported Agriculture programs. This past Saturday, I visited Tomato Land. I’ve taken food to go from Tomato Land (I’ll save that deliciousness for another post), but never shopped for produce. A few weeks ago when a Tallahassee Groupon was offered for Tomato Land produce, I figured it’d be the perfect opportunity to give their produce a try. So this Saturday, I had $10 to spend, and believe me, it went far! I purchased: 2 local grapefruits, 5 tangerines, 1 bell pepper, 4 ears of corn, 1 yellow onion, 1 mango, 2 tomatoes and 2 green apples! 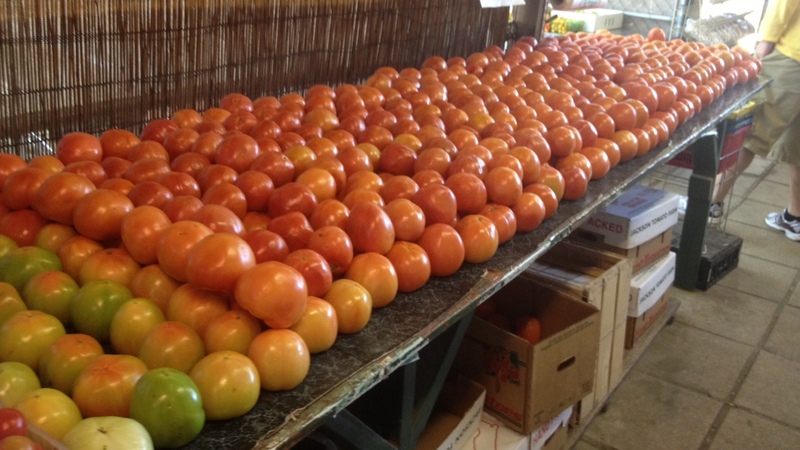 Tomato Land’s selection of tomatoes. 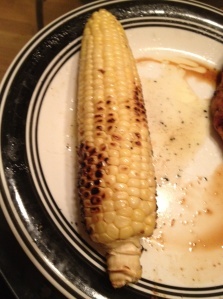 With the fresh corn, I tried a new slow cooker recipe, Corn on the Cob with Garlic Herb Butter, and it was amazing! 1. Thoroughly mix butter, garlic and parsley in small bowl. 2. Place each ear of corn on a piece of aluminum foil and generously spread butter mixture on each ear. Season corn with salt and pepper and tightly seal foil. 3. Place corn in 4 1/2 quart slow cooker; overlap ears if necessary. Add enough water to come 1/4 of the way up each ear. Cover; cook on low 4 to 5 hours or on high 2 to 2 1/2 hours. 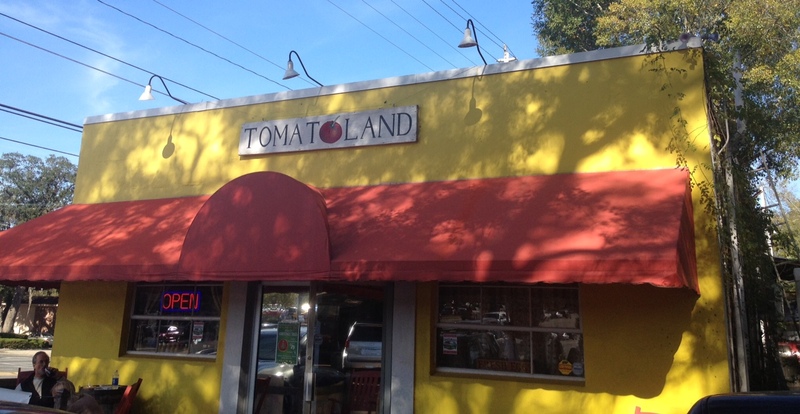 Tomato Land on Thomasville Road. I found the selection, customer service and prices at Tomato Land to be great. I’ll definitely go again for produce. Also, if you are looking for fresh wreaths and Christmas trees, they have quite a selection! 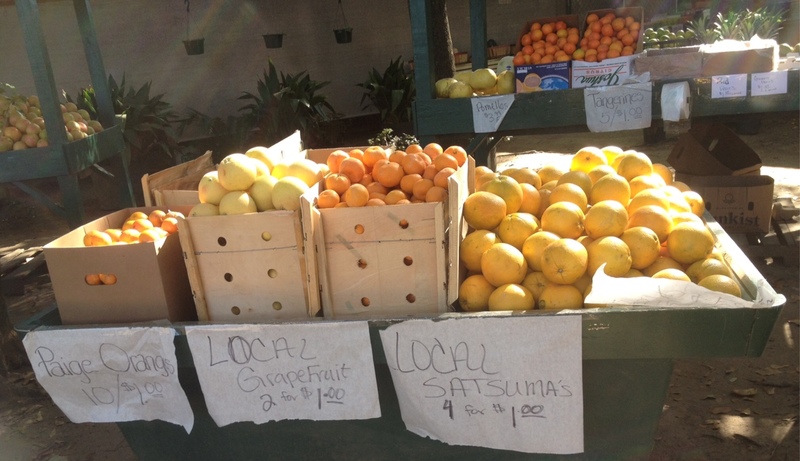 If you want to send Florida citrus to friends and relatives up North, Tomato Land has gift baskets ready to go. Posted on November 28, 2011 by C.E. 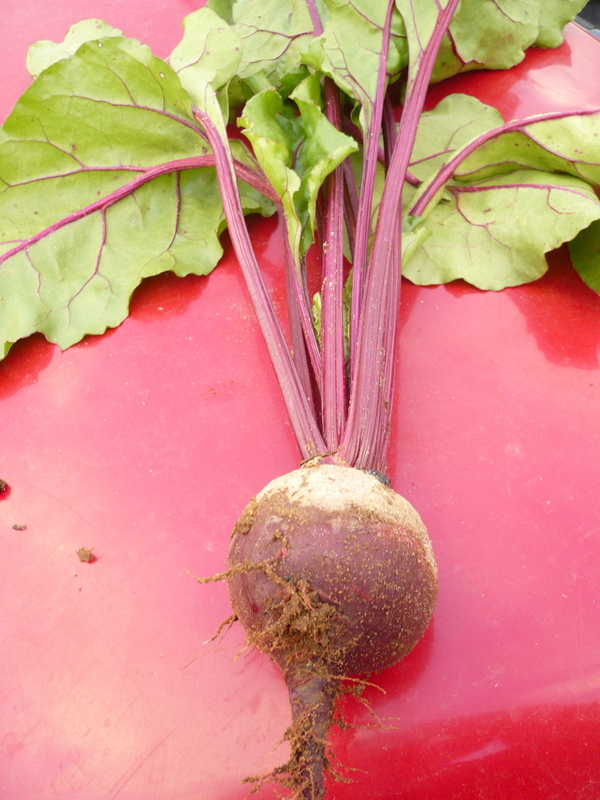 A freshly picked beet from Full Earth Farm. When the Professor and I signed up a year ago for the Community-Supported Agriculture (CSA) program offered by Full Earth Farm, I knew that we would encounter some vegetables we’d never cooked with before. Through recipe research, great recommendations from friends and the folks at Full Earth Farm, and some random experimentation, we’ve conquered kale, collards, garlic scapes and other vegetables that once were foreign to us. But one vegetable confounded me: Beets. Before joining the CSA, I best knew beets in their commercially pickled form, which to my tongue taste overwhelmingly sweet, with an unpleasant metallic tinge. Thus, I despised them. So when freshly picked beets turned up in our CSA share last fall, I eyed them warily. 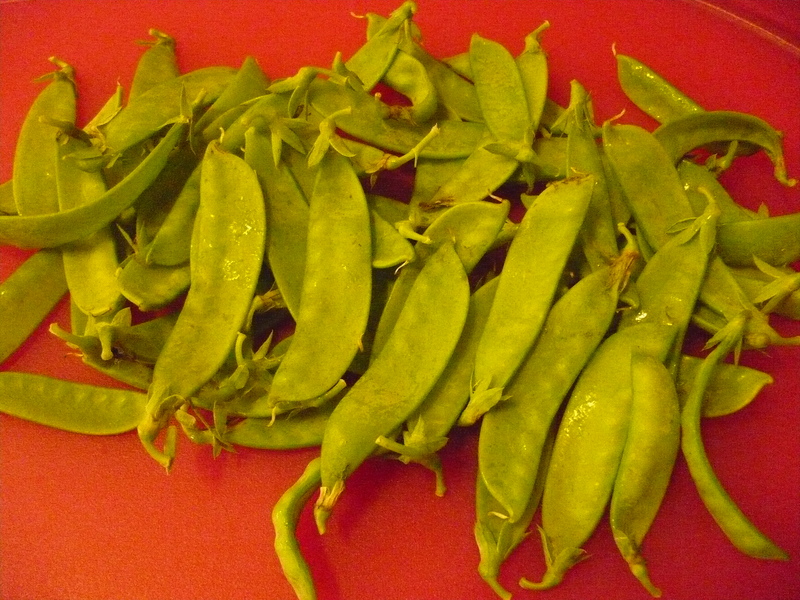 Then I tried them raw in a salad, and roasted with other root vegetables. And I still didn’t like them much. Well, it’s beet season again. This year, though, I’m actually eager to see those crimson orbs in our CSA share, thanks to a brand-new recipe created by Katie Harris of Full Earth Farm. We gave Katie’s recipe a test run last weekend with our first share of beets, and I can’t wait to make it again. This is basically pink mashed potatoes. The amounts of each ingredient are up to you and your liking. It’s flexible and you won’t mess it up! In a large pot, boil enough water to cover beets and potatoes. While that’s getting hot, quarter the beets and potatoes. Once the water is boiling, toss them in. While they are cooking, sauté the onions and garlic in oil until they are as done as you want them. Once the beets and potatoes are soft, drain most of the water off, but leave a little. Mash with a potato masher and add butter, milk/sour cream, sautéed onions and garlic, salt and pepper. Mash well and serve warm. 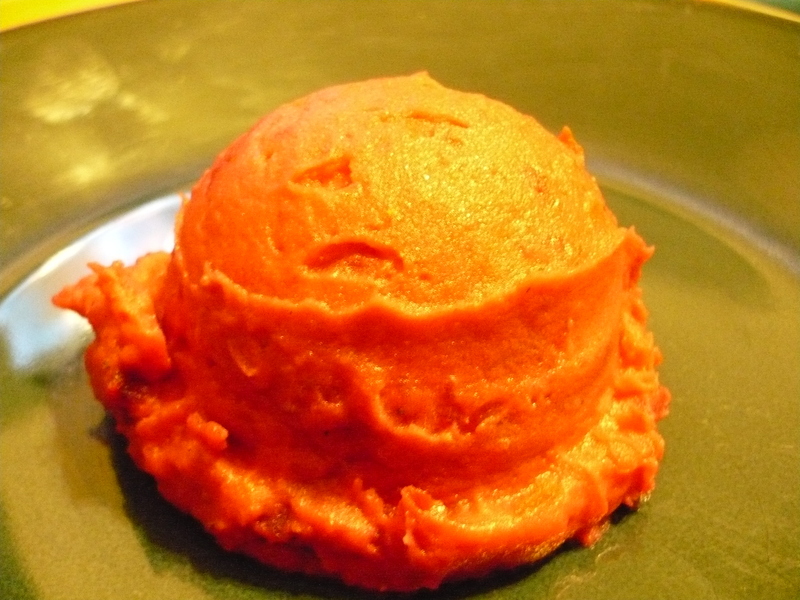 Doesn’t this scoop of Fun Mash look like raspberry sorbet? To make our own version of Fun Mash, we used eight small red potatoes instead of five big ones. The potatoes and beets took about 30 to 35 minutes to get soft. When we mashed them, we added plain Greek yogurt instead of sour cream, along with a splash of half ’n’ half instead of milk. Since we put chile peppers into just about everything we cook around here, we threw in a couple of tablespoons of our latest adaptation of Rick Bayless’ Adobo de Chile Ancho. A note about Adobo de Chile Ancho: This seasoning paste, which is one of Bayless’ workhorse Essential Recipes from his cookbook “Rick Bayless’ Mexican Kitchen,” adds earthy, spicy flavor to all sorts of dishes, including marinades, beans, chili, enchilada sauce and scrambled eggs. This time, we made the adobo with a mix of guajillo and ancho chiles, and used some juicy roasted tomatoes instead of broth. When the Fun Mash was ready to eat, I cast aside my usual skepticism about any recipe containing beets when I got a glimpse of its color: a gorgeous fuchsia. The scoop of Fun Mash on my plate looked just like a dollop of raspberry sorbet. As good as this dish looked, it tasted even better. The red potatoes, along with the Greek yogurt, butter and Adobo de Chile Ancho, tempered the sweet beets into something much more savory to my tastebuds. And the beets, in turn, gave the dish a depth of flavor that’s usually lacking in traditional mashed potatoes. I loved the bit of unexpected crunch from the sautéed garlic and onion, too. We’ve got more beets coming our way this CSA season, so I’ll have the opportunity to continue experimenting with this versatile recipe. Next time, we’re going to add some diced jalapeños to the garlic and onion before we sauté. Thanks for the great recipe, Katie!